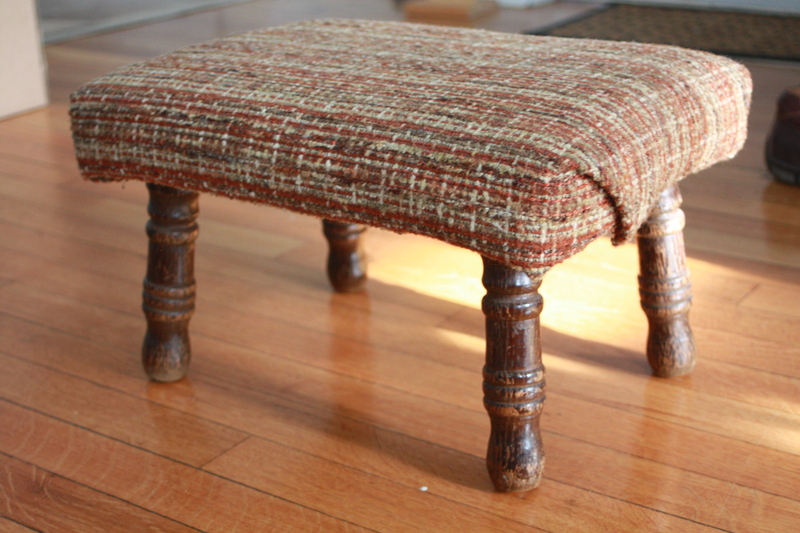 Remember this footstool I told you about way back when? I finally got around to getting some fabric for it. I got the fabric on sale for $2 and I was psyched because I really wanted some sort of animal print in the living room. 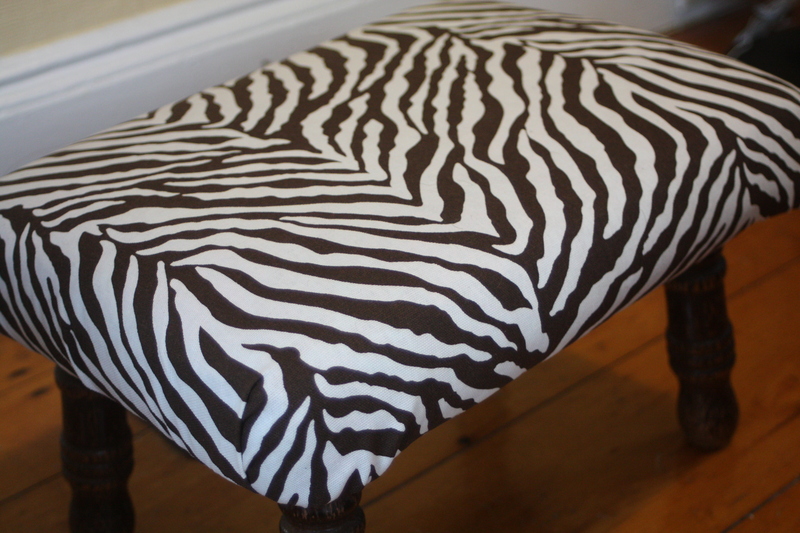 All it took was a quick fabric overlap and some staple gun action. 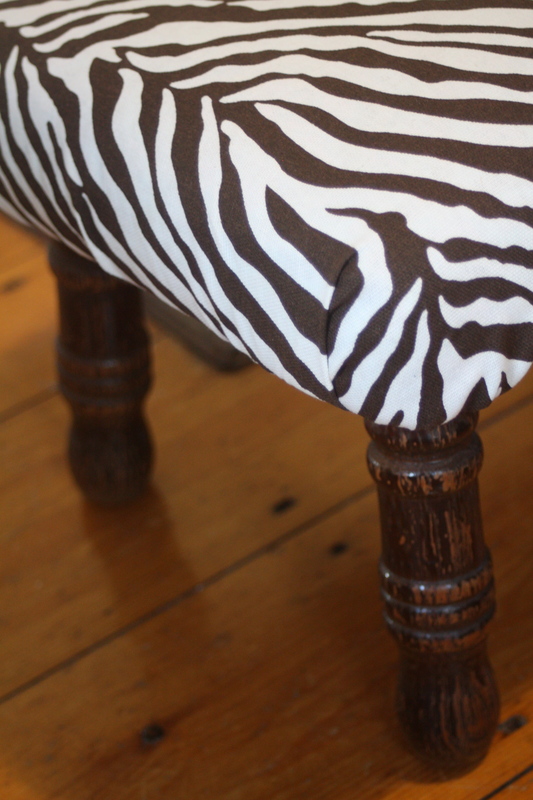 For the longest time I had plans to paint the legs of the stool white or antique white, but once I changed the fabric I liked the roughed up look of the original legs. What do you guys think? Leave ‘em or paint ‘em? 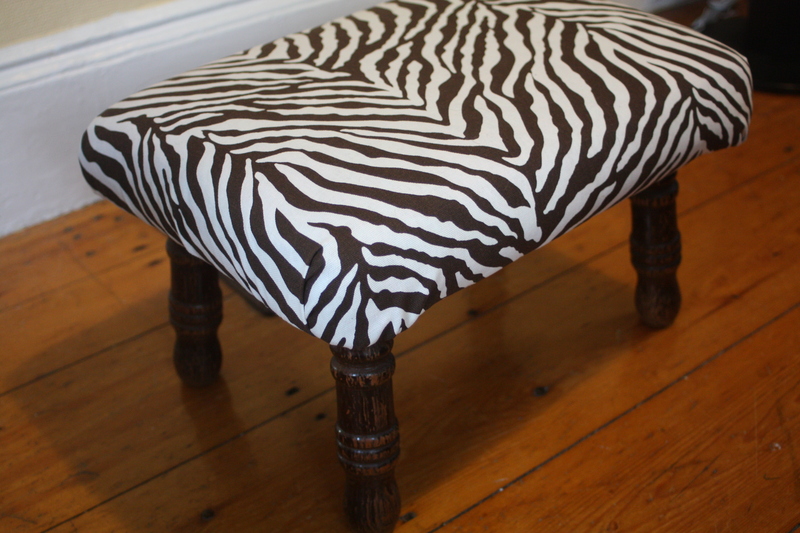 I love this stool. It’s so perfect because we don’t have space for an actual coffee table or ottoman so it’s a great place to put your feet up that can easily be stashed away too! The original fabric looks like my first couch! The change is great and if you love it, leave it as is. If you paint the legs they are going to get roughed up anyway and it looks perfect the way you have it. Put your feet up and enjoy. While I am in here, I like what you did with your entry way and steps. You’re right, I am going to leave the legs how they are. I didn’t even think about how they will get all dinged up anyway. I was going back and forth for a while, but I love them how they are! Mom and Dad definitely had a couch with similar fabric too. It was so itchy, who thought that was a good idea to make a couch out of it? !